Garlic comes from the mountainous regions of Central Asia and has adapted to extreme changes in temperature, including very cold nights. As a result, garlic performs best when subjected to a cold period of one or two months. Ground temperatures of between 0 — 10º celsius encourages optimum clove formation, making it very suited to our Irish climate and Autumn planting often produces better crops than garlic sown in Spring. 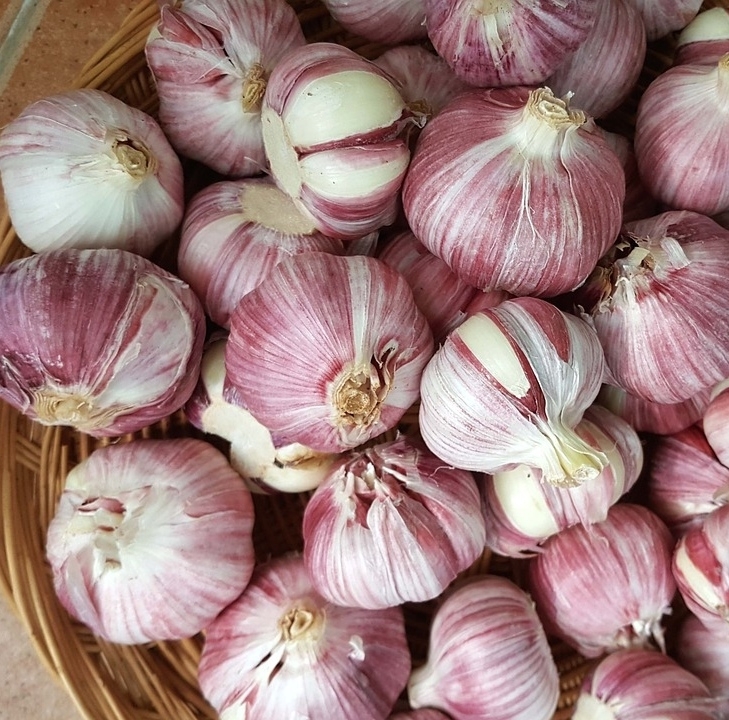 Garlic enjoys a long growing season, so if planted in October up to early December, the harvest usually occurs in July/August and the bulbs are much bigger. We have three varieties of overwintering garlic - Vallelado, Messidor and Morado. They are Certified Organic and disease free. Avoid planting supermarket garlic as there is a good chance that it has come from China and will not adapt to our growing conditions. Neither will it be certified disease free.